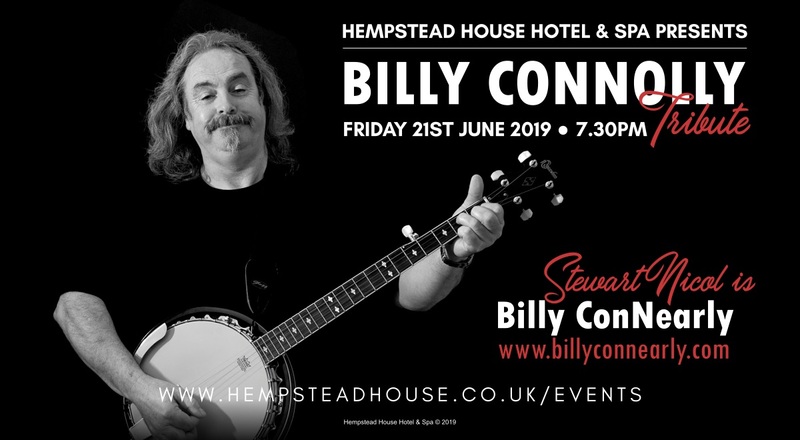 We present Billy ConNearly as Billy Connolly..
Lookalike, Soundalike and Comedian Stewart Nicol is the countries Number 1 tribute to the comedy legend Billy Connolly. Guests will be seated on tables of ten. A £10.00 non-refundable deposit per person is required to secure the booking. Full payment and pre-order of your menu choices are required four weeks prior to the event. We regret that any cancellations after this date will be chargeable in full. Is this a genuine enquiry? Can we inform you about our forthcoming events and offers from time to time?